Travel up the coastline to the ancient Roman city of Caesarea. 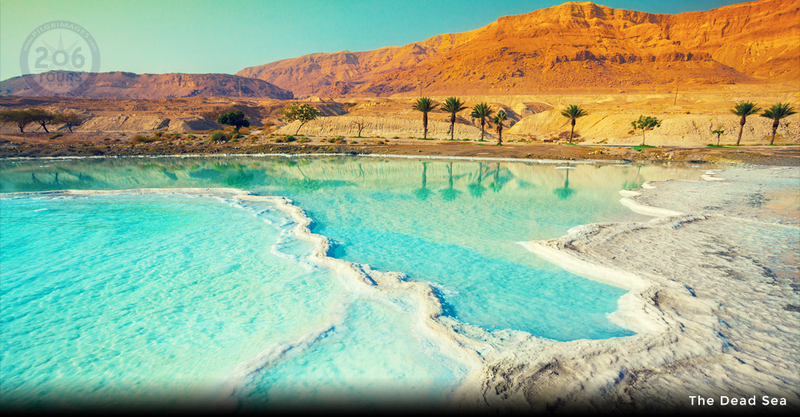 See the harbor where Paul was imprisoned and taken to Rome, on his final voyage. 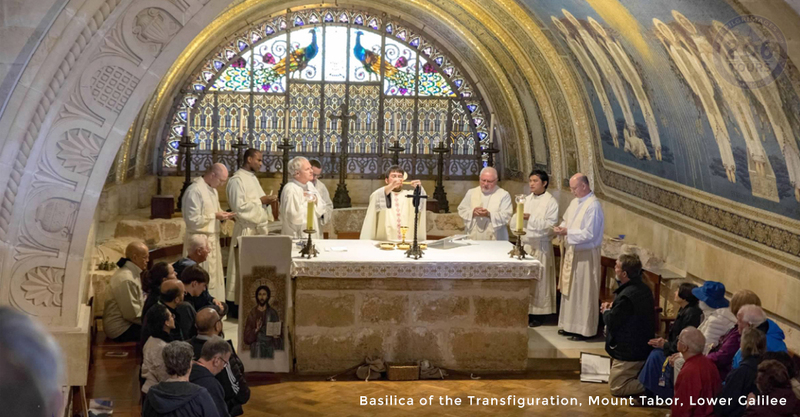 Proceed to Nazareth, one of the holiest towns in Christendom. 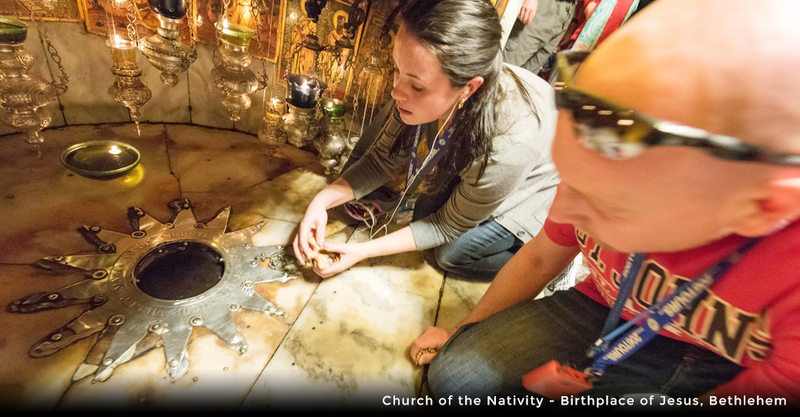 See Mary's Well where the Angel Gabriel told Mary she will give birth to Our Lord Jesus Christ, and the Greek Orthodox Church of Annunciation, where we see frescoes of all the main Orthodox Saints. 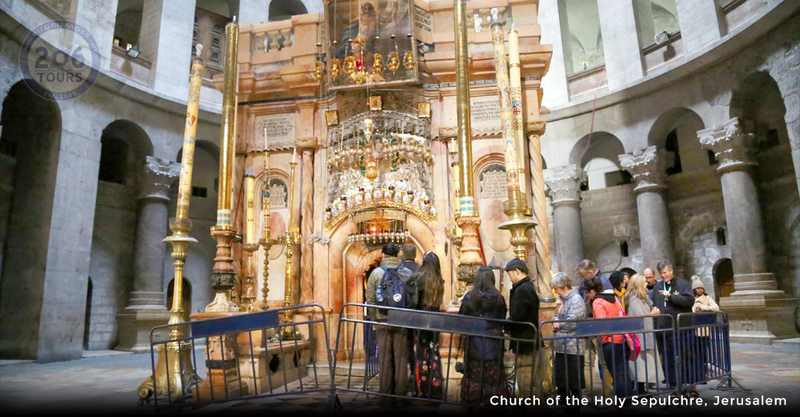 Continue to Cana to visit the Greek Orthodox Church, site of Jesus' first miracle. Dinner and Overnight. 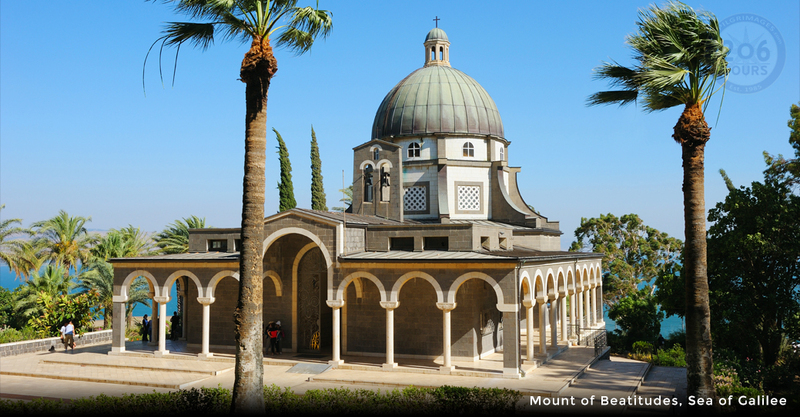 Drive to the Mount of Beatitudes where Jesus preached the Sermon on the Mount, than to Tabgha, Greek for Seven Springs and the Church of the Multiplication of Fishes and Loaves. 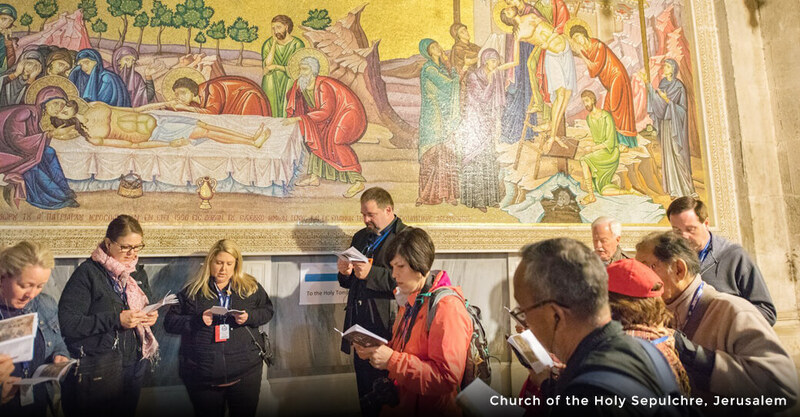 Visit the Church of St. Peter's Primacy. 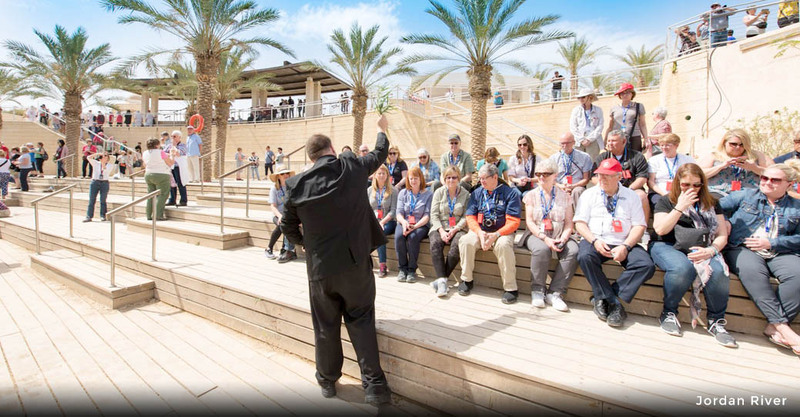 Explore Capernaum (visit both the orthodox Church and the ruins at Catholic church) headquarters of Jesus' ministry in Galilee and see the new church built on St. Peter's House. See the Greek Orthodox Church of the Holy Apostles, with its lovely pink domes and an outwardly setting overlooking the Sea of Galilee. We celebrate the Divine Liturgy in this peaceful spot. 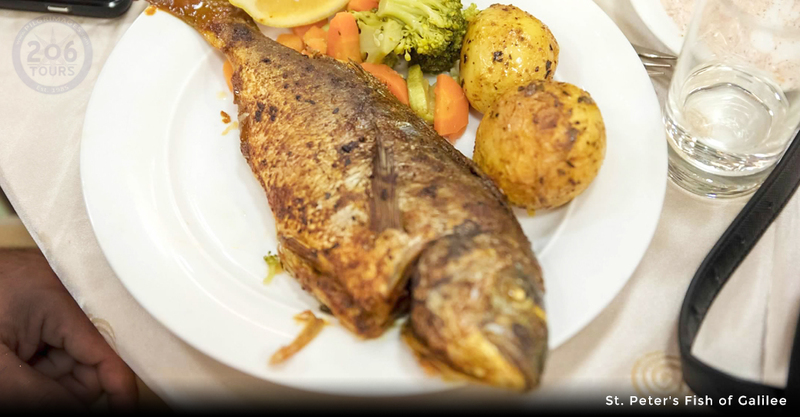 Today you share in the traditional lunch of delicious St. Peter's fish. 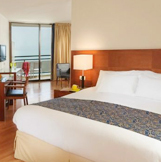 Sail across the Sea of Galilee. Dinner and Overnight at Hotel. We start the day with a visit to Mt. Tabor and the Church of Transfiguration. 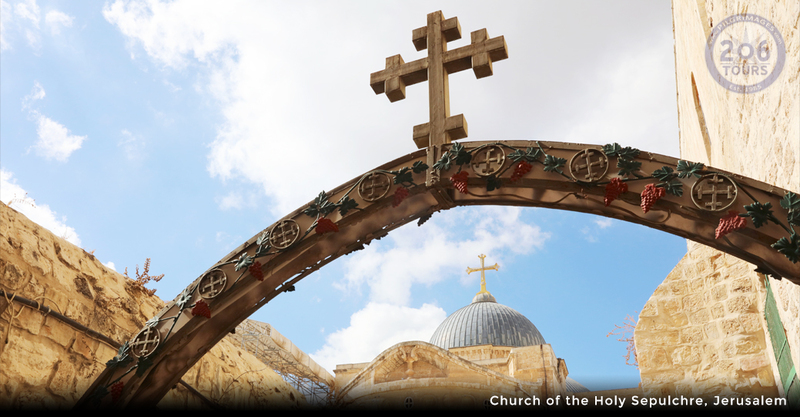 Continue to The Monastery of Scared Cross, stop at the village of Ein Karem the birth place of St. John the Baptist, and see the Russian and the Greek Orthodox Churches. 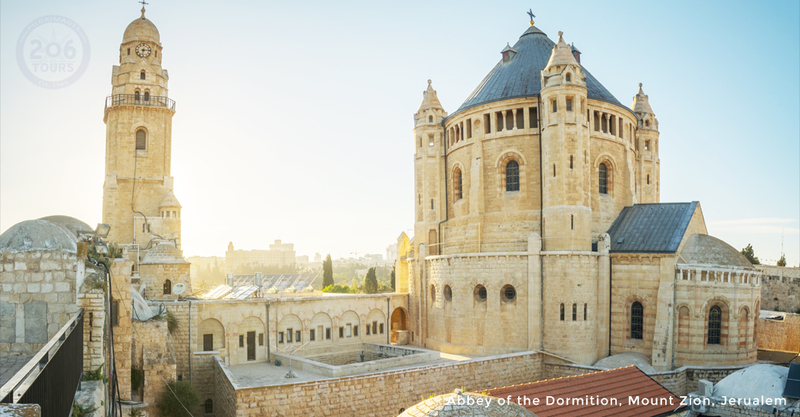 Start the day with a visit Bethany, site of the House of Mary and Lazarus, Mt of Olives. 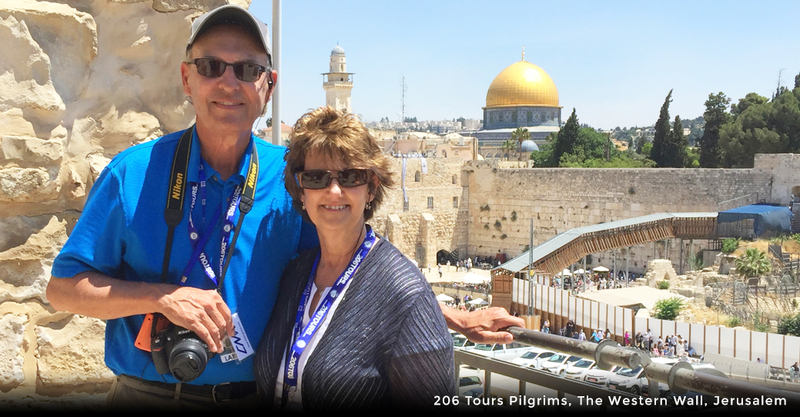 Enjoy the unforgettable view from atop the Mount of Olives, and marvel at the site before you. A 4000 year old city, center of three main monolithic faiths, and the place where Our Lord sacrificed himself for our salvation. 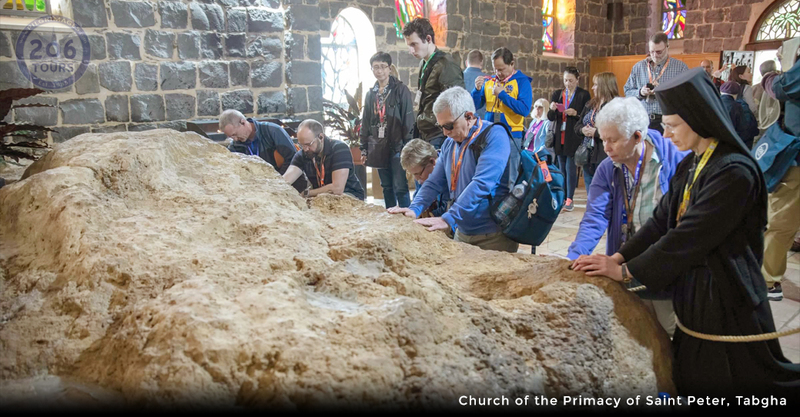 See where Jesus taught the Apostles to pray "Our Father,". Walk down the Palm Sunday road, stopping at the beautiful Russian Orthodox Church of Mary Magdalene (Usually it opens Mon - Thu, we will contact them closer to arrival and reconfirm the visit). 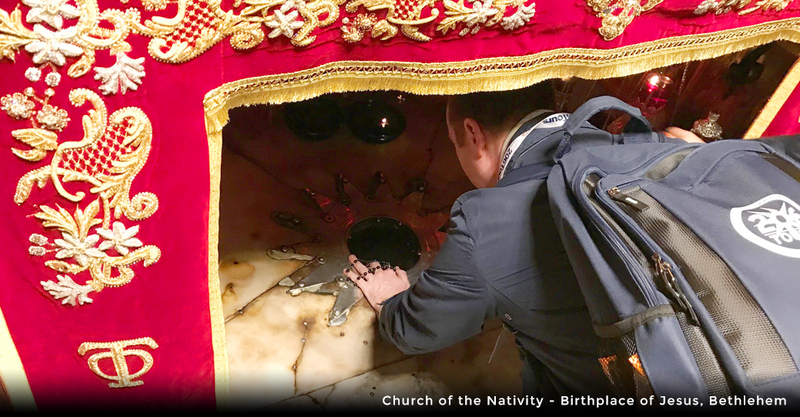 Light a candle with a prayer in the Tomb of Holy Mother and continue to the Church of All Nations in the Garden of Gethsemane, the garden of Our Lord's agony. 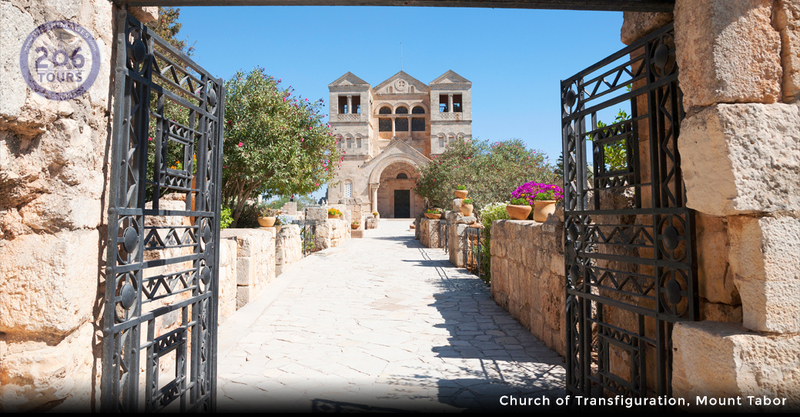 Descend across the Kidron Valley, to the Church of St. Peter in Gallicantu where the Apostle denied Christ three times. Continue on to Mt. 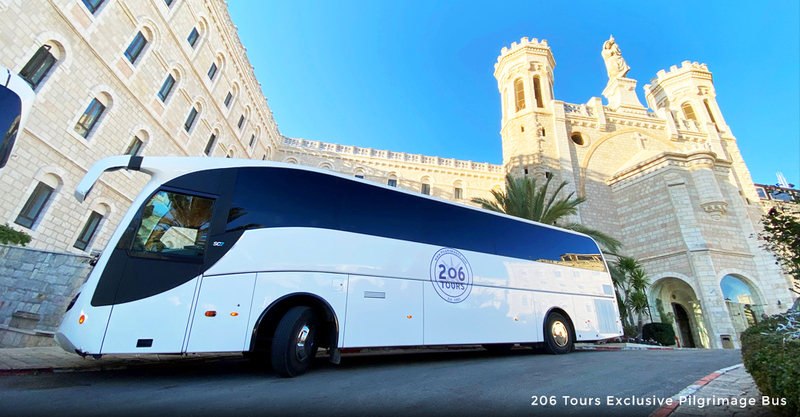 Zion to visit the Room of the Last Supper, King David's Tomb and the Church of the Dormition. Monastery of St. George, (View as it is closed on Sunday) built in a rock ravine in the Judean Desert, and wonder in amazement how the monks managed to build this shrine of faith. 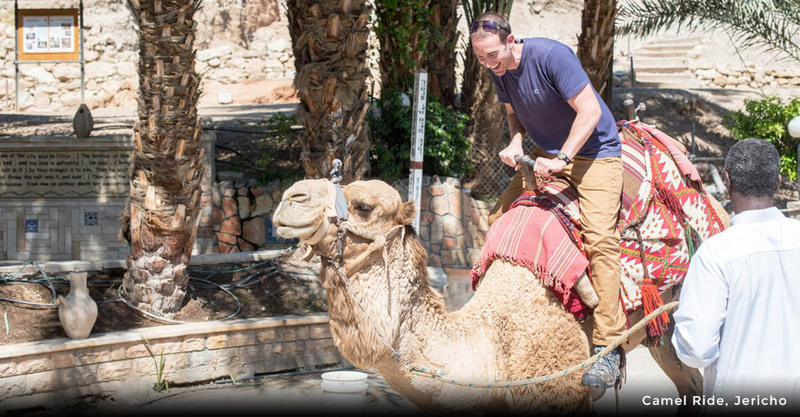 Proceed down into the Jordan Valley towards Jericho, the oldest known inhabited city in the world. View the Mt Temptation and visit the Orthodox Monastery there. Continue to Baptismal site & Monastery of Gerasimos afternoon drive through Biblical Samaria to reach Jacob's Well. 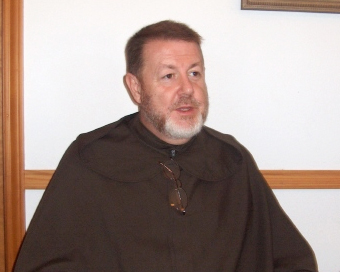 We will visit the magnificent rebuilt church and hear from Fr. 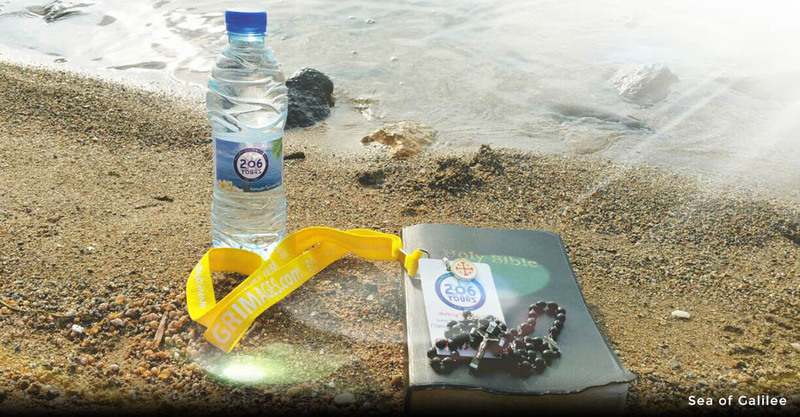 Ioustinos Mamalo about the building of the church and it's importance of the site where Jesus met the Samaritan woman. He referred to the age-old dispute between the Samaritan and the Jews about the right spot to worship God, and said the memorable words " They that worship God must worship him in spirit and in truth." 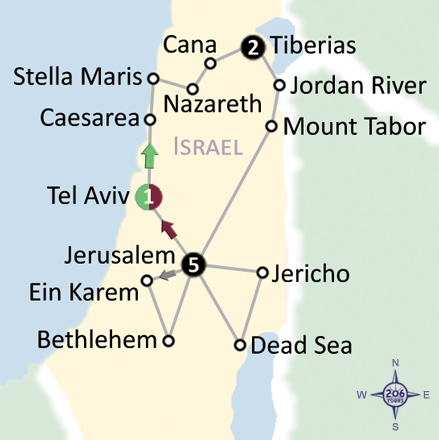 We continue through Samaria, viewing Shiloh, Bethel and Beeroth. 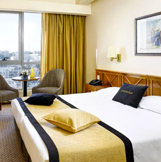 Overnight Jerusalem. 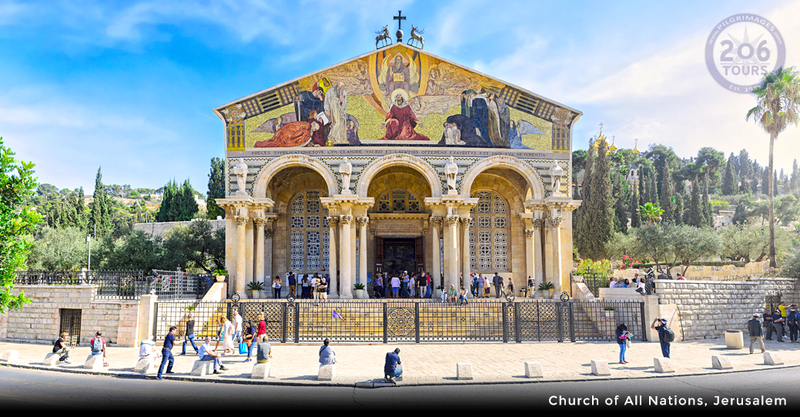 Enter the old city via Zion Gate to VIEW: the Wailing Wall, the Temple Mount, the Pool of Bethesda, St. Anne's Church (birthplace of Mary), the Chapel of Flagellation, Ecco Home Arch. 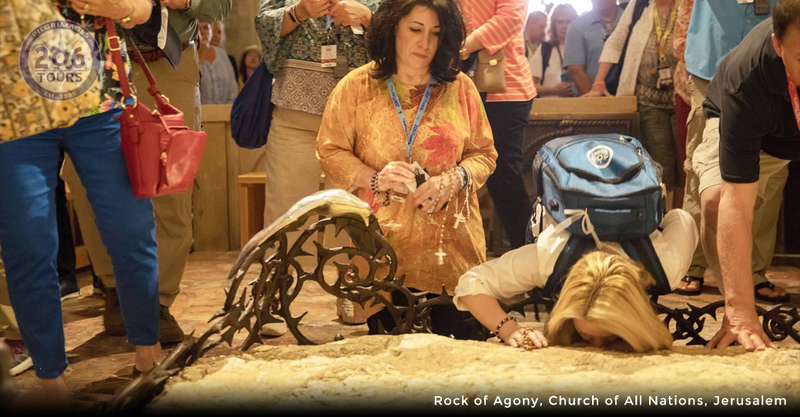 Then go on to the Via Dolorosa, to the Prison of Christ, and retrace the final hours of Our Lord's life as you pass the Stations of the Cross, to the Church of the Holy Sepulchre, the site of His death and resurrection. We climb the stairs to reach Golgotha, the place of crucifixion. The main altar here is in the care of the Greek Orthodox Patriarchy. Then we are actually led into the Tomb, the place of resurrection, guarded by Greek Orthodox monks. 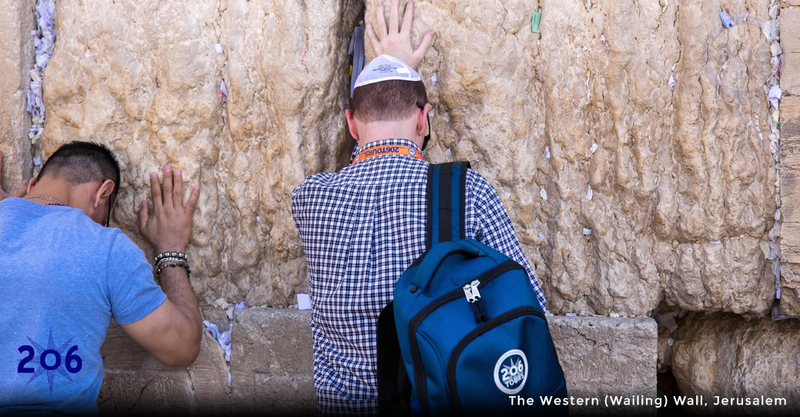 Take a moment in this Holy Place to feel the spirit engulf you, and appreciate all that Our Lord has given you and your loved ones. 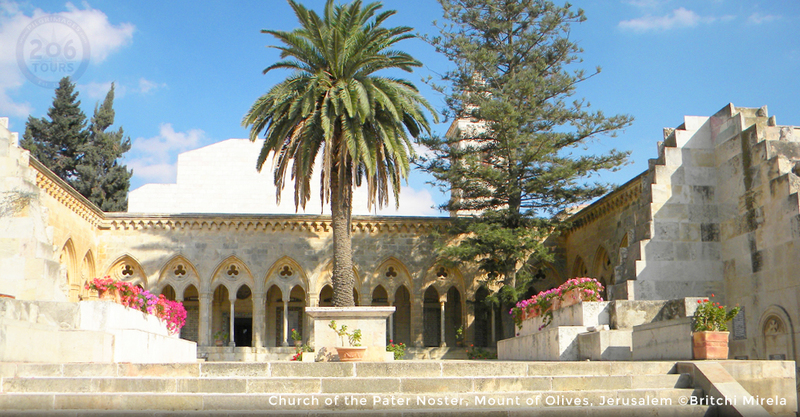 Visit Monastery of Nicodemus, continue to John the Baptist then end the tour with a visit the Greek Orthodox Patriarch. If time allows we will add St. Jacob and St. James Cathedral in the Armenian Orthodox Compound, before exiting through the Jaffa Gate. Dinner and overnight Jerusalem.